When most people think of nice Hawaiian beaches, the islands of Maui or Kauai typically come to mind first. But don’t rule out the Big Island. While it may not have as many white sand beaches as Maui, the Big Island makes up for that in the diversity of its beaches. Often the water off of the west coast is the calmest of all the Hawaiian Islands. There are no streams feeding the west side so there is no murky runoff to cloud up the waters. The west side has the white sand beaches typically thought of in Hawaii. Here is a rundown of those beaches you shouldn’t miss. 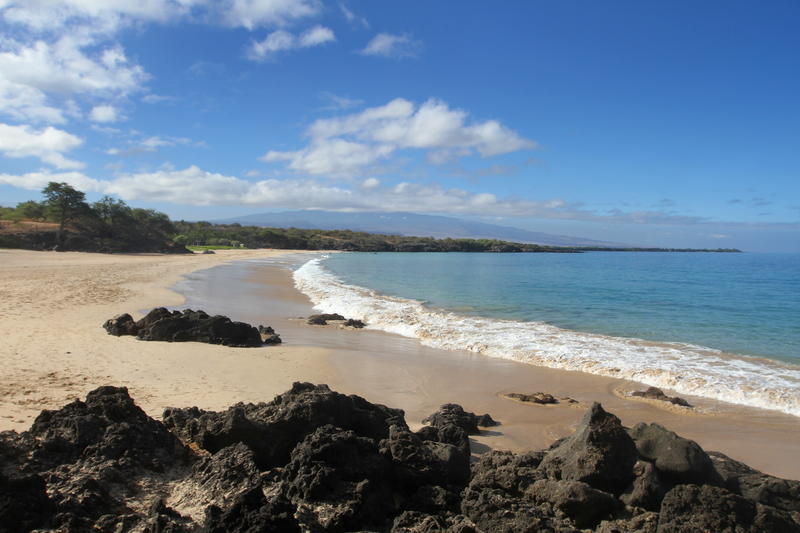 Hapuna Beach – This beach tops all kinds of best beaches lists and with reason. It is exactly the kind of broad white sand beach that one imagines when dreaming of tropical vacations. It’s great for swimming and boogie boarding but make sure and check the lifeguard station for the water conditions. This beach is easy to get to and should be tops on your list to visit. It is just off of highway 19 around mile marker 69. This is a state recreation area so there is plenty of parking. 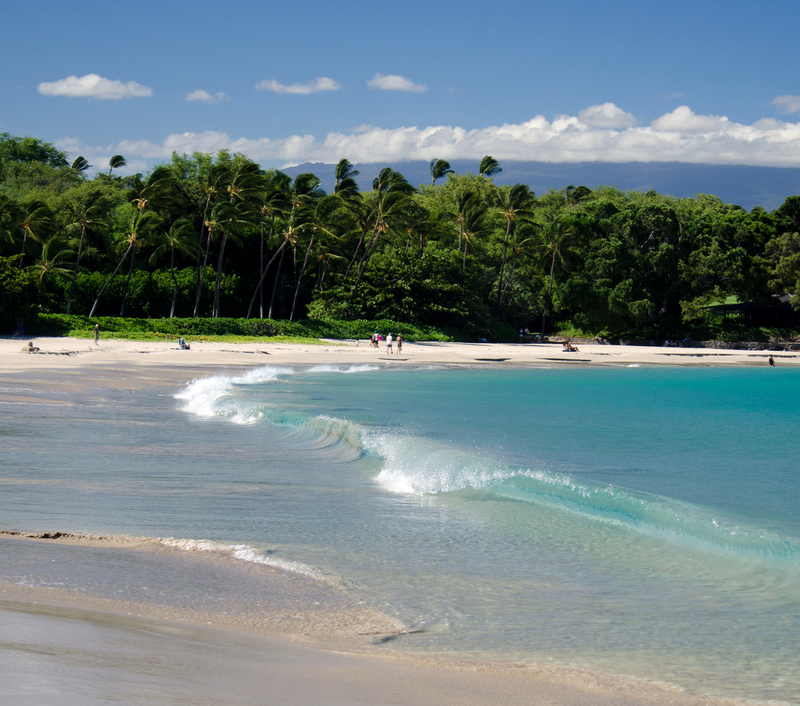 Mauna Kea Beach– This is another fantastic white sand beach. Depending on the wave conditions on a given day, I may rank this one as even nicer than Hapuna beach. Parking is a little more of a challenge here. There are a limited number of parking spots and if you go too late in the day, you will get turned away. The good news is that with limited parking access, the number of folks you will be sharing the beach with is also limited. Drive to the Mauna Kea resort (mile marker 68 on highway 19). Tell the attendant at the guard station that you are visiting the beach. He or she will tell you whether there are open parking spots and give you a parking pass or turn you away. Try to get there before 9:30 a.m. on the weekdays and 9 a.m. on the weekend. Makalawena Beach – This is another amazing beach that would probably get as many awards as Hapuna if it were easier to get to. Due to its seclusion, there are no lifeguards or facilities worth mentioning. But there is plenty of white sand and shade. It is ideal for swimming and boogie boarding. You have two options to get to this beach. The first is to drive a four wheel drive on the rough road found between mile marker 88 and 89 off of highway 19. 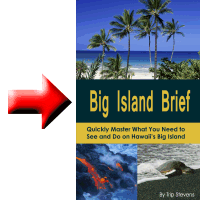 It is a little less than one quarter of a mile south of the paved road to Kua Bay. Your other option is a 20 minute walk from Kekaha Kai State Park (entrance between mile marker 90 and 91 off of highway 19). Park in the lot and don’t leave any valuables in your car. Hike north through the gate towards Kekaha beach but keep right on going through the lava field and to the sand dunes. You will know when you arrive. Head to the water. 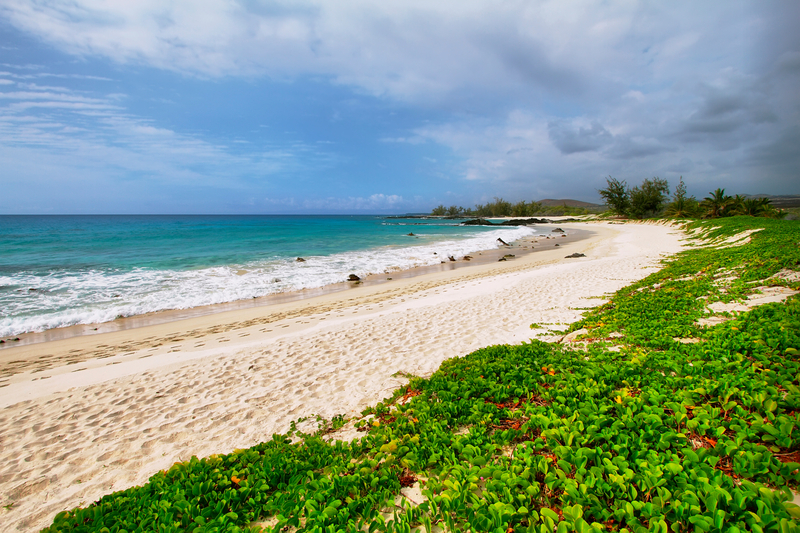 Kahalu’u Beach Park – This is a great beach and full of people and wildlife. Visit this one early in the day. At this beach reside plenty of colorful tropical fish and turtles. To see the most fish, you may need to distance yourself from the beach a bit. Because this beach is located right on Ali’i drive, there will be plenty of people and business. There is usually a food truck there. Nearby Kahalu’u Bay Surf & Sea can provide surf boards and surfing lessons and rent snorkel gear. Also located there is the Kahalu’u Bay education center that teaches about the wildlife you will see there at the beach. 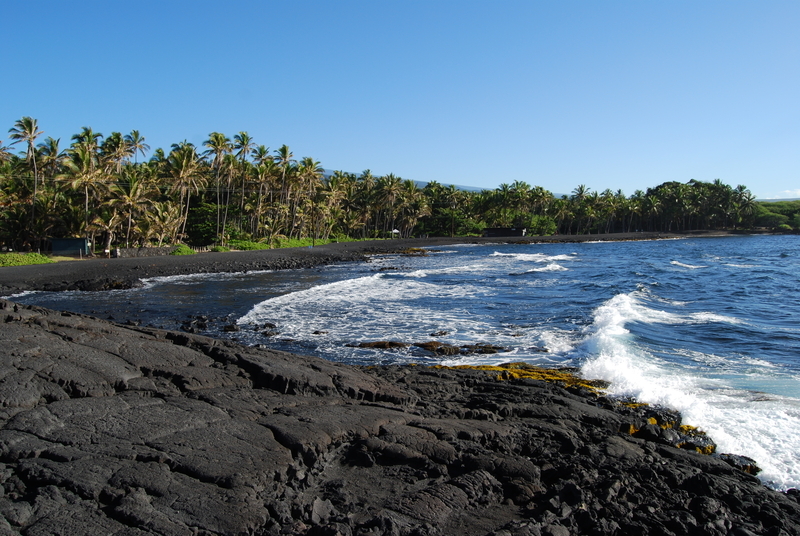 Punalu’u Black Sand Beach – This is the most popular black sand beach on the island and a place where you are most likely to see turtles. This beach is easily accessible between mile marker 55 and 56 off of highway 11. This is not a great swimming beach. There is plenty of cool freshwater here that keeps the water colder than elsewhere. Swim here if you want to be able to say you swam with the turtles. But keep your distance from them. They are protected and hefty fines are possible. 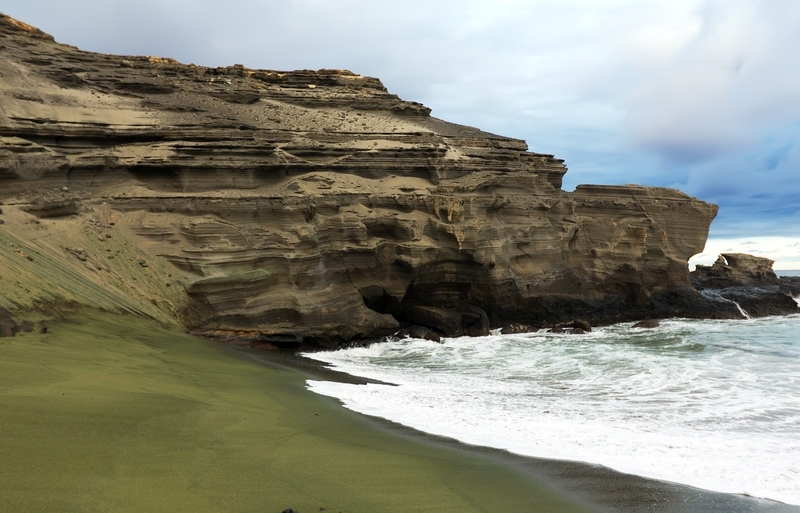 Papakolea Green Sand Beach – Yes, the sand really is green. Not bright neon green but green nonetheless. There are only four green sand beaches in the world so take advantage of this one while you are there. 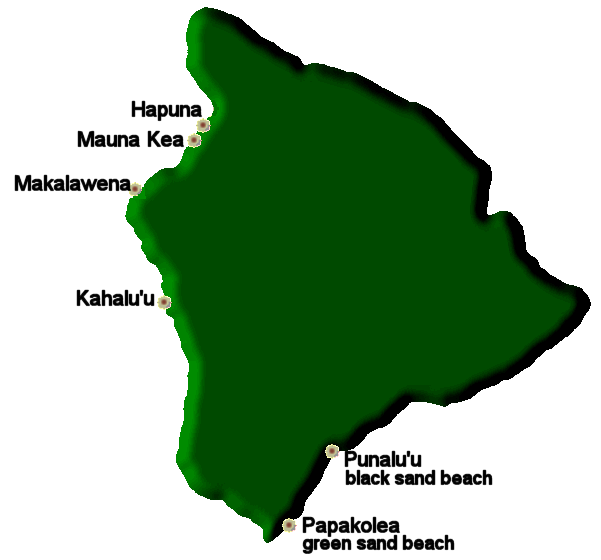 The green component of the sand is olivine, locally known as Hawaiian Diamond. Olivine is a mineral containing iron and magnesium. It is a common component of lava and is the first crystal to form when magma cools. To drive all the way to the green sand beach requires a four wheel drive. You can also walk the last 2 miles. To get there turn off of highway 11 between mile marker 69 and 70 at the South Point sign. Drive the eight miles to the visitor’s center parking. You can then hike the 2 miles east to the beach or drive it with a four wheel drive. Enjoy! Always remember safety when visiting the beach. According to the World Health Organization, drowning is the third leading cause of unintentional injury and death worldwide. In many countries, drowning is the leading cause of death for children under the age of twelve. Don’t let yourself or one of your party become part of these statistics. Find out about the surf conditions before entering the water. The water is typically calmer in the morning. I’m sure you have read before to never turn your back on the water, and if you’re like many people, including me, you’ve simply blown off those warnings. But don’t. On one family vacation, my daughter was leaving the water with her back to the ocean. She was carrying a boogie board and she got clobbered by a giant wave. When she finally made it out of the water, she had sand everywhere … and I mean everywhere. She was so shook up that she didn’t enter the water again for a couple days. While this experience didn’t have a fatal ending, it came close to ruining a family vacation that was pretty awesome up until that point. It all happened so fast that no one could have reacted in time to avert the situation. The situation can be even worse for someone exploring along a rocky reef close to water. If a wave hits someone in the back and knocks them over, the body usually gets cut up as it gets dragged across the sharp rock edges. Respect the ocean.